The best part of Sunday dinner is undoubtedly when the roasties are on point – fluffy on the inside with a crispy skin. Now you can go out and eat an entire meal of roasties should you so wish, and nobody can judge you. In fact, you will look kind of fancy. 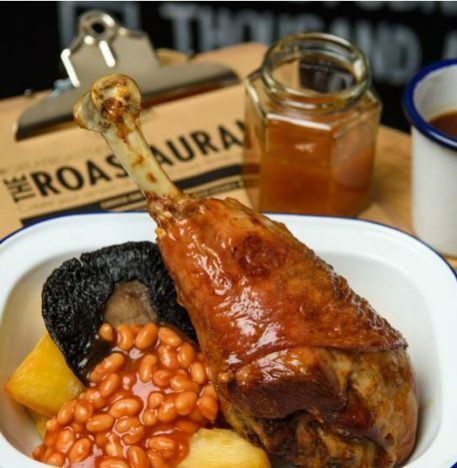 It will be up and running from 8 to 10 December, serving over 100,000 various roast dinner combos – I seriously didn’t realise how varied roast dinner could be. The eclectic menu has been put together by Jim Thomlinson, who has previously worked at Michelin starred restaraunt La Trompette. You can choose from an exciting range of food items, from pigeon with chocolate smothered onion rings to beef brisket with a fried egg and charred pineapple. 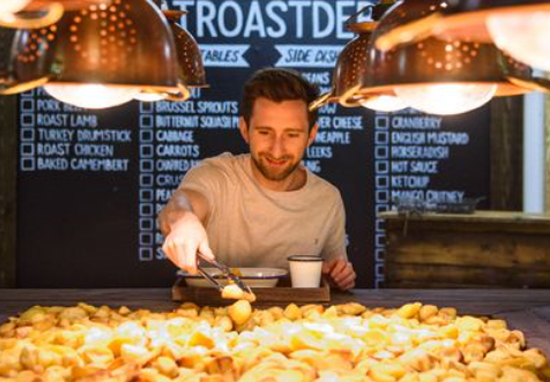 You can then serve yourself from a giant platter of classic McCain roasties. Unusual meal combinations will set you back a very reasonable £7.50. However, if you are just after a load of potatoes with gravy – which lets face it, aren’t we all? – you only need to pay £5. 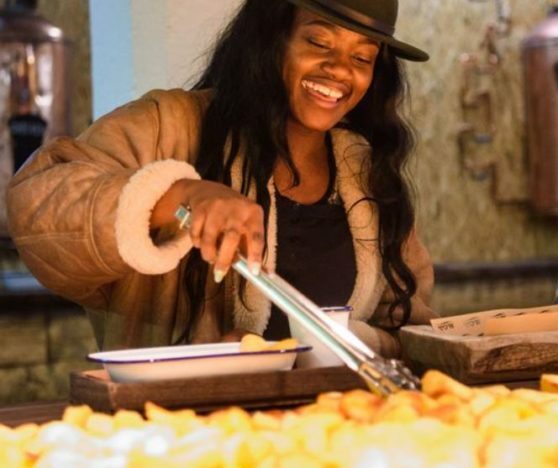 The idea for this unique dining experience came from findings which show we Brits see potatoes as indispensable items on the Sunday dinner plate. And quite rightly too. 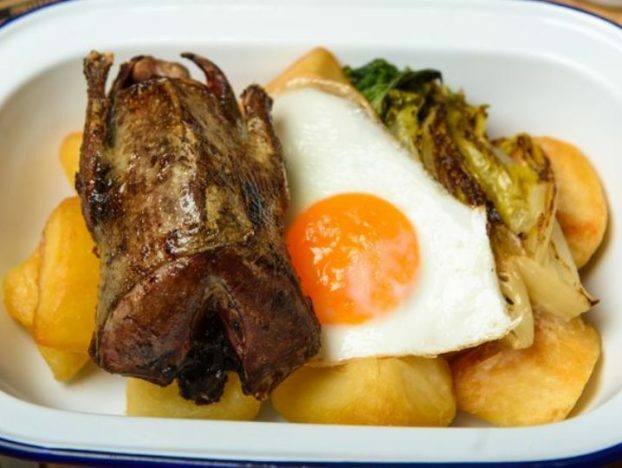 However, we are happy to be adventurous in other areas of our traditional roast, and enjoy putting our own take on the quintessentially British dish. Cooking a roast dinner which suits everyone can be a nightmare, but here it is super easy. During the day, foodies select their choices from a ‘tick box’ menu; allowing them to personalise their meal. Best of all, you will be eating for a very good cause indeed. Ticket proceeds as well as any surplus food will be given to FareShare, a hunger and food waste charity.